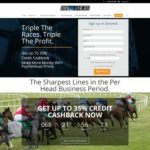 Description: 9DollarPerHead.com is the leading choice amongst online sportsbook agents for outsourcing their Bookie Pay Per Head Services. Description: PricePerPlayer.com is a top sports betting software and sportsbook pay per head provider. 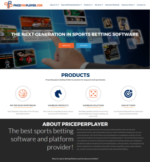 PricePerPlayer provides the most open gaming platform and product package to ensure the very best and most flexible sports betting solution available. Description: The Bwager.com sports betting platform is equipped to meet the all of the requirements needed in the fast paced world of the gaming industry. 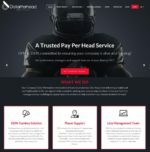 Description: DollarPerHead is a Sportsbook PPH provider that focuses ondelivering a stable and profitable platform for agents and sportsbook operators around the world. Description: HostPPH is a sportsbook pay per head service that provides Bookies with Turnkey Bookmaking Solutions which include sports betting, casinos, live betting an horse betting. 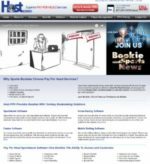 Description: IDSCA caters to price and pay per head sites, services for bookies, and sportsbook agents who intend to grow and leverage their business. 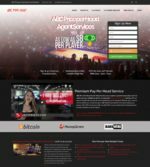 Description: PayPerHead.com is premium sportsbook solution that provides the best pay per head service in the industry. With more than 20 years experience, and industry-leading tools, PayPerHead is the sportsbook software that allows online bookies to stay successful and profitable. 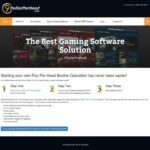 Description: PremierPerHead.com is Pay Per Head Sportsbook Software Solutions that offers agents two types of sports betting platform.